National Geographic Society, Washington D.C.
GPRSIM predicts the waveform of microwaves that are reflected, transmitted, refracted AND attenuated across model ground structures. (The complete theoretical details of GPRSIM are published in Geophysics, Goodman D., vol 59-2, p224-232, 1994). GPRSIM uses advanced 2D ray tracing which is enhanced to include antenna aperture sizes and exact model/structural slope specifications. directly by the Geophysical Archaeometry Laboratory in 2001. 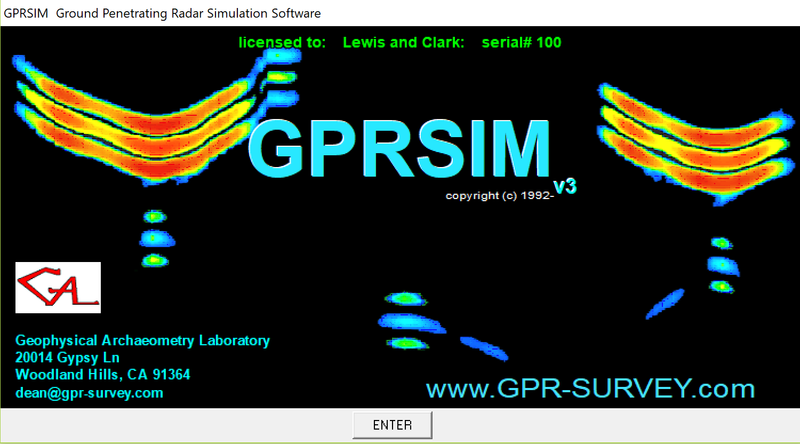 GPRSIM v3.0 was released in early 2006 and has been under continuous development at user requests till 2018.